SSI Dive Control Specialist, or DiveCon, is our initial dive leadership level and is considered by many as the"fun" leadership rating. It's fun and satisfying because you can do more than any other entry-level dive leader. 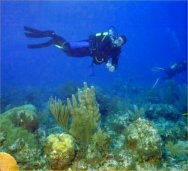 You can do more because you receive both dive master and assistant instructor training in the Dive Control Specialist course. With other agencies these components are separate courses. You will study advanced physics, physiology and decompression theory. You'll practice advanced rescue techniques, fine-tune your diving skills and learn the basics of teaching. 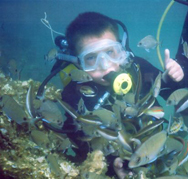 Plus, there's a high demand for SSI Dive Control Specialists at retail shops and exotic resorts. By the end of the program, candidates must have current training in CPR and First Aid and logged 60 dives or more. The DiveCon Training program consists of about 70 hours of classroom theory, practice teaching presentations, observations, water work in pool and open water and examinations. Upon graduation, SSI DiveCons are authorized to conduct the Scuba Skills Update, Try Scuba (pool only) and Snorkeling courses. 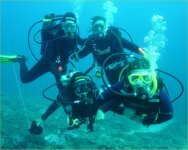 They can also assist with Open Water Diver courses and lead certified divers on dive tours. They can also attend the SSI Open Water instructor course. To maintain active status, DiveCons must be affiliated with an SSI Dealer and have current insurance.